Fear can feel incredibly overwhelming. I know what the weight of fear feels like on your shoulders when you struggle to take that weight off and hand it to Jesus. With an anxiety disorder, fear is something I know too well. 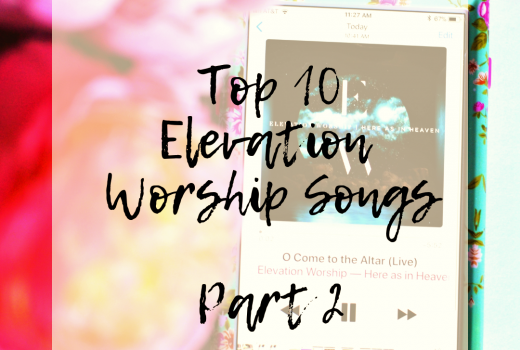 Today I wanted to share a few of the go-to worship songs that I listen to when my heart is working against that fear. God gives us His word which is the best option to turn to when you are struggling. My family has some go-to verses I shared a few weeks ago actually. 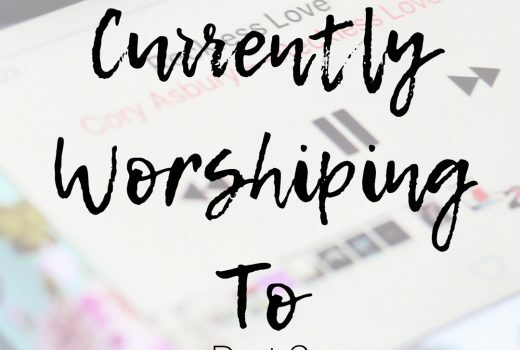 But you guys know I also love worship music. There is something about worship songs based on biblical principles that helps calm my heart. When I am facing or fighting fear, sometimes worship songs speak exactly the words I can’t find. These are songs that I have been singing over and over for, really, the last year. God has used these lyrics to help me in some of the darkest moments lately. I hope they might help someone else as well. Early in 2019, we were sitting in the car going to and from the hospital where my grandma was and this song started playing in the background on the radio. Total God thing because it was exactly what I needed to hear, man I love when God does that. I quickly searched what song it was and bought it on iTunes. Seriously, what a blessing this song has been for me. It quickly became my anthem over the last few weeks. The phrase ”I may be weak, but your spirit’s strong in me. My flesh may fail, but my God you never will” just wrecks me. There is not a truer statement. It’s not us that is strong…but God in us. It never fails to bring comfort when you are reminded that God never has or will leave you or fail you. Talk about another God thing, I also heard this song on the way to the hospital. If you are fighting fear, this song is a great thing to sing over yourself. I’m not a complete “name it and claim it” kind of christian…but I do believe there is something to proclaiming something over your life and telling satan that he won’t win. When I fight fear, just like this song says, I remind myself that it doesn’t stand a chance when I stand in Gods love. While satan has power, Jesus will always be strong and greater so we must call upon Him in all times. This song just reminds us that God is our firm foundation and fear isn’t from Him…so when we are facing it we must cling to that foundation. If you don’t like repetitive worship songs, then this song won’t be for you. BUT I think sometimes our sinful minds need repetition to really let it sink in. Just look at how many of the same teachings are throughout the whole Bible- God knew sometimes we have to hear things over and over again to get it to sink in. If you are really struggling with fear, recite this song to yourself over and over again. Tell that fear to go away! We can only fight our battle against fear successfully when we are letting God fight it with us. We try so often to fight our battles alone when that isn’t Gods plan…He wants us to call upon Him. I love this song because it’s so simple but so powerful. When we are surrounded by God, we are never alone and we are not battling alone. This is a song I keep going back to because it is just so powerful. No matter what I am facing in life, God can bring peace and I think that’s something we forget too easily. When I listen to this song, I immediately think of when Jesus and the disciples were in the boat and it began to storm. Jesus was sleeping under the boat and the disciples rushed to wake Him and they were terrified. Jesus calmed the storm by declaring it to be still. Just His words caused the storm to become peaceful. I might not literally be on a boat in a storm but sometimes life feels like that, am I right? That same God can give us peace if we call to Him and if we let Him. Often our fear comes from not knowing what is ahead, but God calls us to trust even when we can’t see where He is taking us next. This song is a great anthem to declare over your fear. I would say that this is often an overlooked song. I doubt many of you have ever heard it but if you are struggling with fear, I highly suggest you go somewhere quiet and let this song wash over you. Fear can be exhausting. Fighting fear can take a lot of strength out of you. Sometimes all I want is to sit in Gods presence when I am fighting fear because I know He brings peace. This song is talking about letting God hold us until the storm passes. It’s meaning that even if just for a moment, we want God to hold us and give us peace. One thing I love about this song is it’s saying, “look I know that this trial is working for your glory. I know that no matter the outcome, you are here. But for just a moment, can you just hold me” and there is nothing sweeter than that. If you are looking for another repetitive phrase to say when you are fighting fear, this song is a good option. 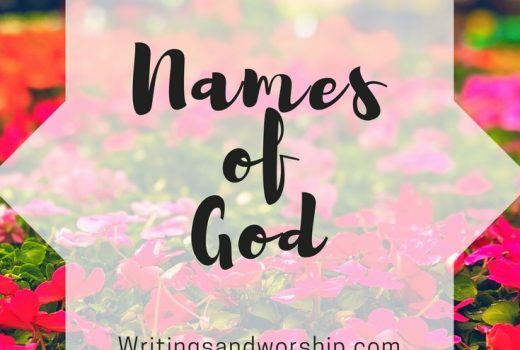 What I love about this is that it reminds us just how powerful the name of Jesus is. Just the name is enough to make the darkness tremble and for fear to be silenced. We often forget just how powerful Jesus is and that even His name can silence our deepest fears. That’s why I am a big fan of declaring in Jesus name for satan to get away when you are fighting fear. It might seem silly if you’ve never done it, but it always helps me. It tells satan that you know the fear is from him and it isn’t welcome here. I previously wrote a whole post on this song, and I’d love for you to take a look if you haven’t seen it (Read it HERE). I decided to mention this song because I feel like it brings so much comfort to ask God to meet us here where we are again. Too often when we are consumed with fear, we begin to think that God has abandoned us when nothing could be further than the truth. That’s why I added this song to my list. It is such a powerful reminder that God doesn’t forsake us…not even for a minute. He is wherever you are, even in a dark pit of fear. This song has been a favorite for a long time and it never fails to bring me peace. So often I expect God to immediately take away my fear when I ask Him. But sometimes, I believe, God wants us to sit in His presence and take the time to wait on Him. Does that make sense friends? We allow our lives to be so full and so busy that we don’t take the time to sit in His presence and listen to what He has to offer. God is so ready to hold us and help us, sometimes we just need to stay in His presence a little longer. PS, I wish they would come out with a live version of this song. I pray that these songs might bring you some joy and peace like they have me. 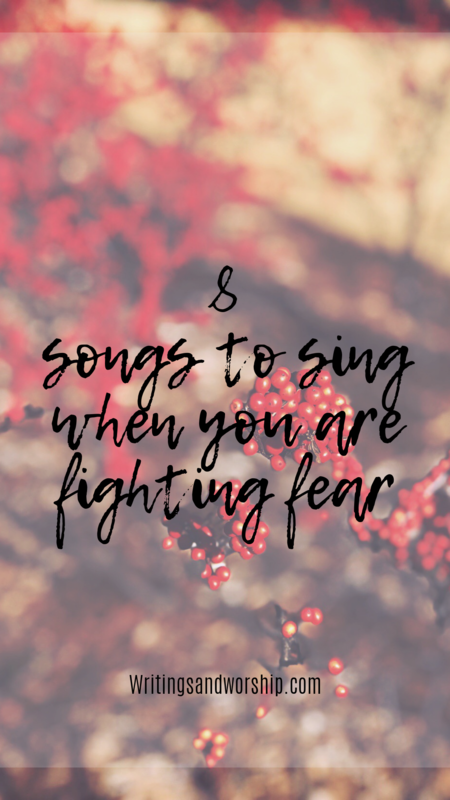 I’d love to konw what song you listen to when you are fighting fear. Tell me in the comments below.